Anu tailam is one of the most famous ayurvedic medicines. It is widely used in ENT field, helping in sinusitis, rhinitis, pharyngitis, vocal problems. 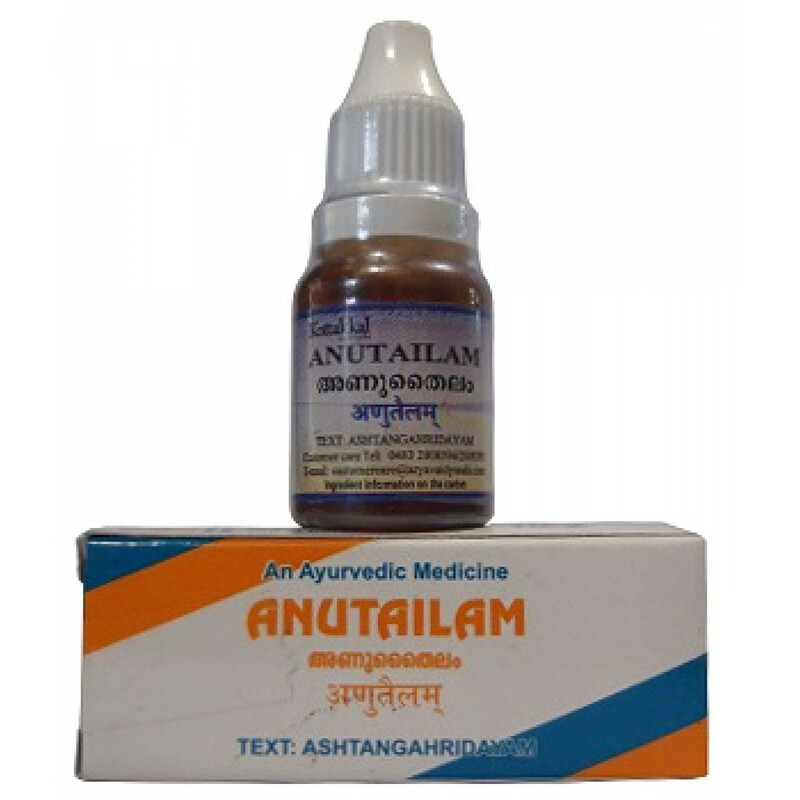 One of the main indications is allergic rhinitis, in which Anu tailam works as a great remedy. It soothes nasal mucous layer and causes local anti-inflammatory effect. Besides, Anu tailam relieves certain kinds of headaches, migraine, nasal bleedings. It is used in oil nose drops. Such nasal instillation in Ayurveda is called “Nasya”. The number of drops depends on disease condition and dosha disbalance. Anu tailam balances all three doshas (“tridosha”). Indications: influenza, common cold, allergic rhinitis, pharyngitis, vocal problems, sinusitis, migraine, cerebrovascular insufficiency, nasal bleedings, paranasal tumors. Content: jivanti, devadaru, twak, gopi, daruharidra, madhuka, musta, agaru, shatavari, kamala, bilva, utpala, brihati, kantakari, shalaparni, prishnaparni, vidanga, ela, renuka, sesame oil. Dosage: 4-6 drops in every nostril. Warm the paranasal area with warm towel to boost the effect. It is recommended to warm the oil before instillation. Best time for instillation is morning and before going to sleep. Side effects: none, if used properly.